Today is my last day of summer vacation. Tomorrow my actual alarm will go off and it will not be my children waking me up. I will have to get up, shower and put on real clothes - not just my yoga pants. It breaks my heart that I won't be able to spend the days with my kids doing fun stuff like going to the pool, playing Angry Birds or getting that sweet smiling Lola from her crib after her naps. However I am excited to start the year off fresh and have some adult company. As difficult as it may be going back to work tomorrow I really am lucky to have this long break off to spend with my family during my most favorite season of all even if it was unusually cold this year. If you are still on break, enjoy the time you have left! It's back to the daily grind my friends. I went into complete panic mode last week when Cohen started complaining of a stomachache. 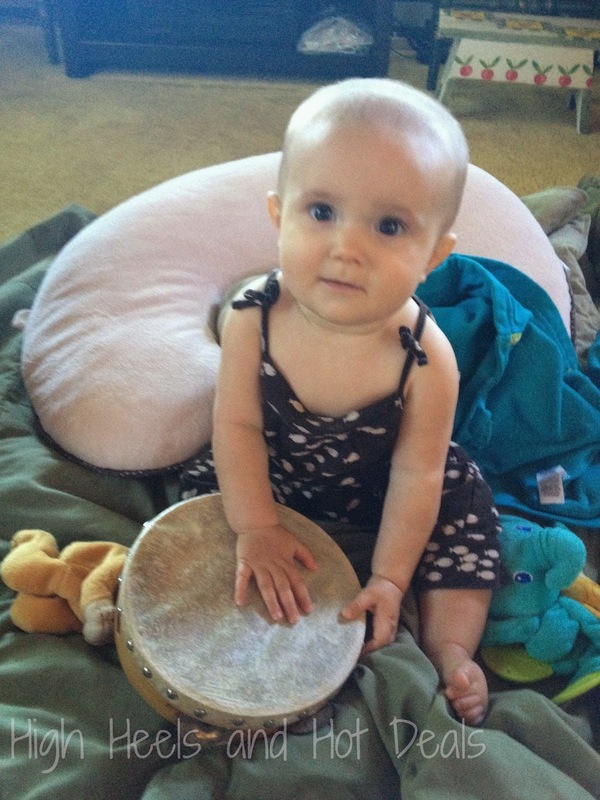 There isn't just one child in this house now - there is a baby we have to worry about too. And this is my last week of summer break! No way are we going to spend it puking and disinfecting our house! I remembered I had some Mommy's Bliss Kids Upset Tummy and Nausea Relief in the medicine cabinet. It is an all-natural herbal supplement that is supposed to ease tummy aches and pains. 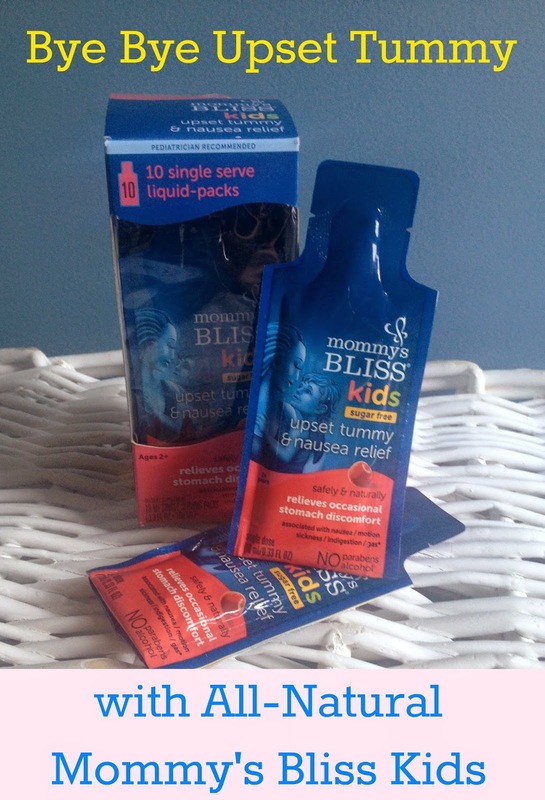 Mommy's Bliss Kids is sugar free, contains all natural ingredients and has no artificial flavors or colors. Children 2 years and older take one packet up to six times in a 24 hour time frame, so I shook that puppy up and gave one to Cohen to drink. At first it took a little convincing because as you know my child is probably one of the pickiest eaters on the planet. But he thought it was pretty cool to drink from the pouch and did end up taking it. He stopped complaining of a stomachache and my stomach flu fears soon faded. Until the morning when he complained again! So I gave him another Mommy's Bliss Kids to take and once again it seemed to soothe his upset tummy. I personally love the individual dose packs because I can throw a couple into my purse or diaper bag and always be prepared if we are at a restaurant or spending the night at Nana and Papa's. The fact that it contains all natural ingredients including organic ginger, dill and peppermint helps ease my worrying mind. Mommy's Bliss Kids Upset Tummy and Nausea Relief worked fast and helped my little guy's tummy so I definitely have to say I am a fan! Now it's back to our summer fun plans -- without that upset tummy. 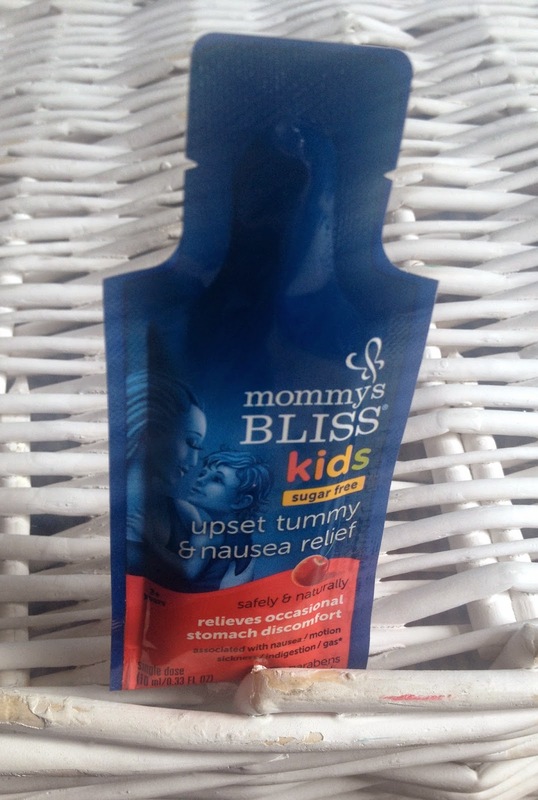 For more information on Mommy's Bliss Kids Upset Tummy and Nausea Relief as well as their line of natural products, check out their website.. When I had Cohen I nursed him for about 5 days. Then my supply came in full force and it made it hard for him to latch without drowning in my milk. The lactation consultant suggested I pump before I nursed him. After being told this I realized that I didn't want to spend time pumping and then nursing him because really that just seemed like a ton of work to an already exhausted mama. 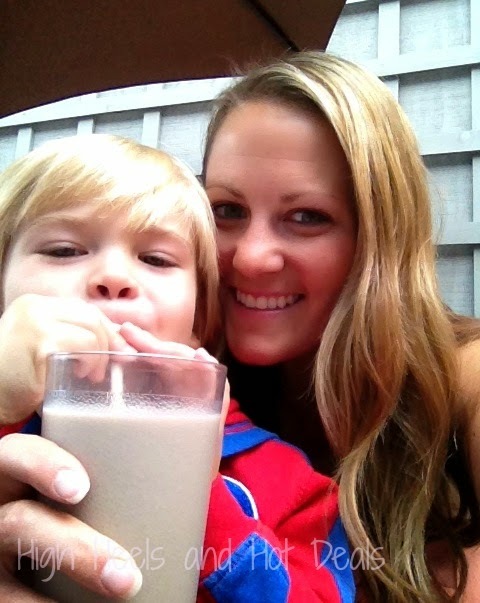 Although I was bummed I wouldn't be able to share that bond with him, I decided I would just exclusively pump because that was the next best thing -- at least he would still be getting the much needed nutrients from breast milk. I exclusively pumped for six months with Cohen and then used my extreme stash of frozen breast milk for another month. That was what worked best for us at that time. This time around with Lola I decided to give nursing another shot. The kid latched like a pro and had no problems whatsoever - until my supply came back full force again. 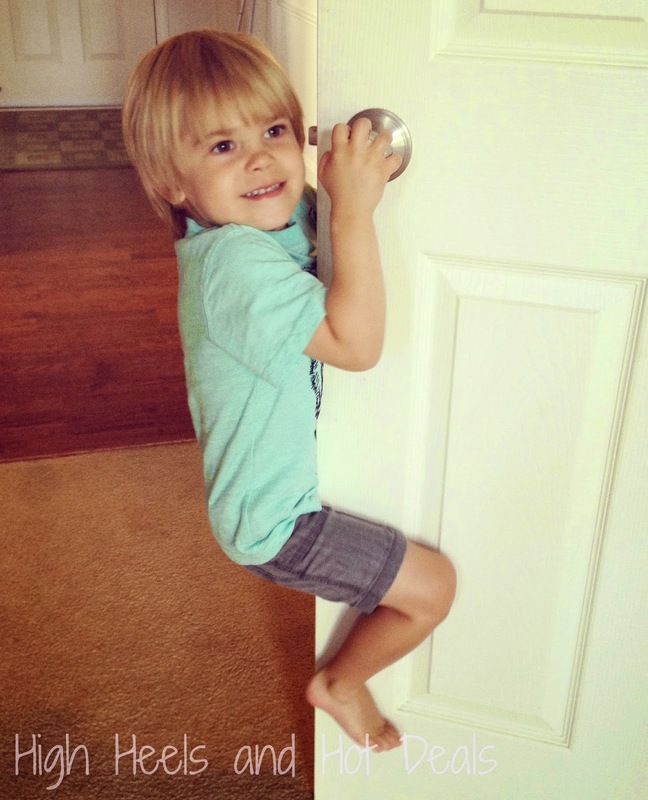 Then the latching issues started like they did for Cohen. 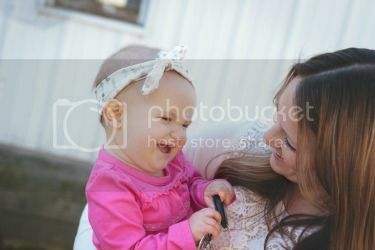 With a three year old at home, I didn't want to spend what little energy I had pumping and nursing because then that wouldn't give me time to be with both of my kids. It just wasn't worth it. I decided that once again I'd pump this time around. Honestly it was the best choice not only for myself but for my family as well. 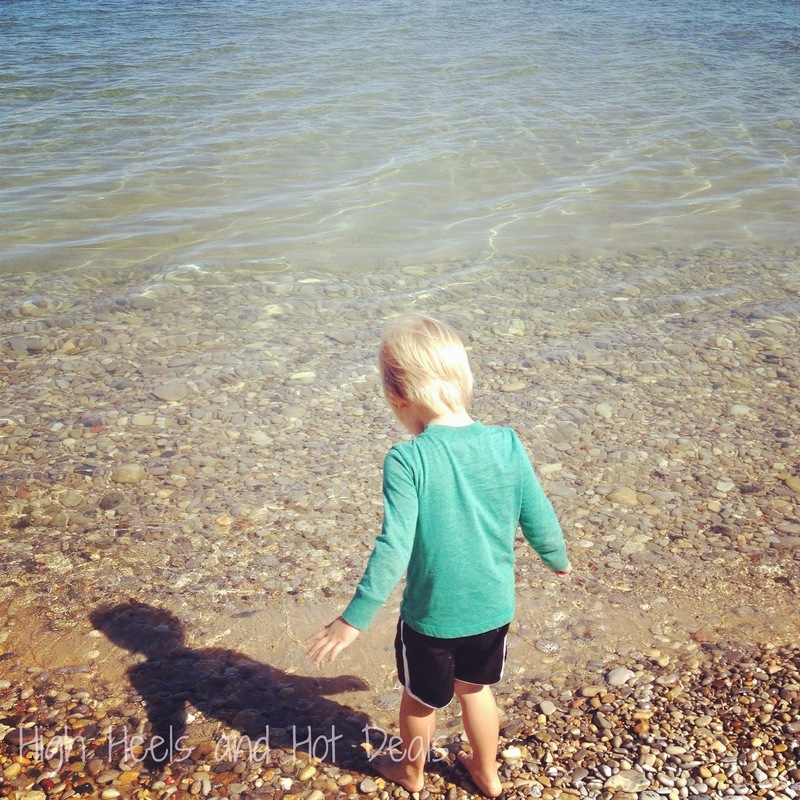 With an extremely busy three year old and a newborn, my attention and time was needed quite frequently. My original goal was six months with Lola. Currently she is almost eight and a half months and I'm still pumping but just twice a day. Once again I was able to build another killer breast milk stash. I decided to wean off the pumping slowly this time to hopefully make the process less painful. Most likely around Labor Day I'll drop down to one pump a day and then during our Fall Break I'll completely stop. 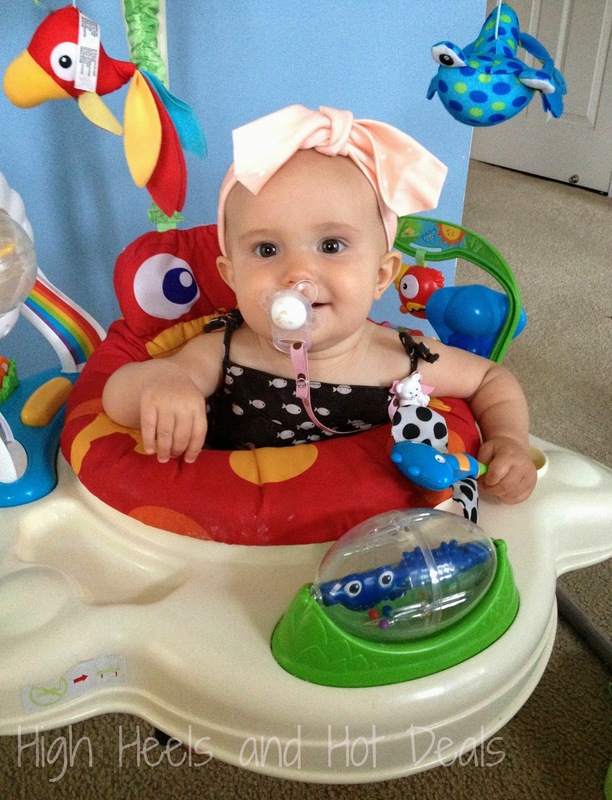 This would give Lola a good solid eleven months of breast milk and would surpass my goal by almost six months. 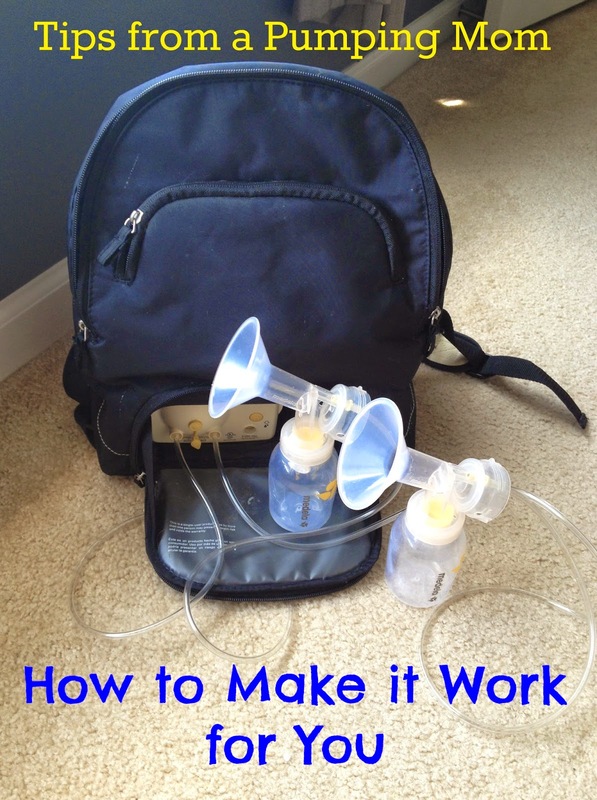 I thought I'd share some of my tips for new moms or maybe moms that were like me and had other little ones and wanted to explore the option of exclusively pumping. 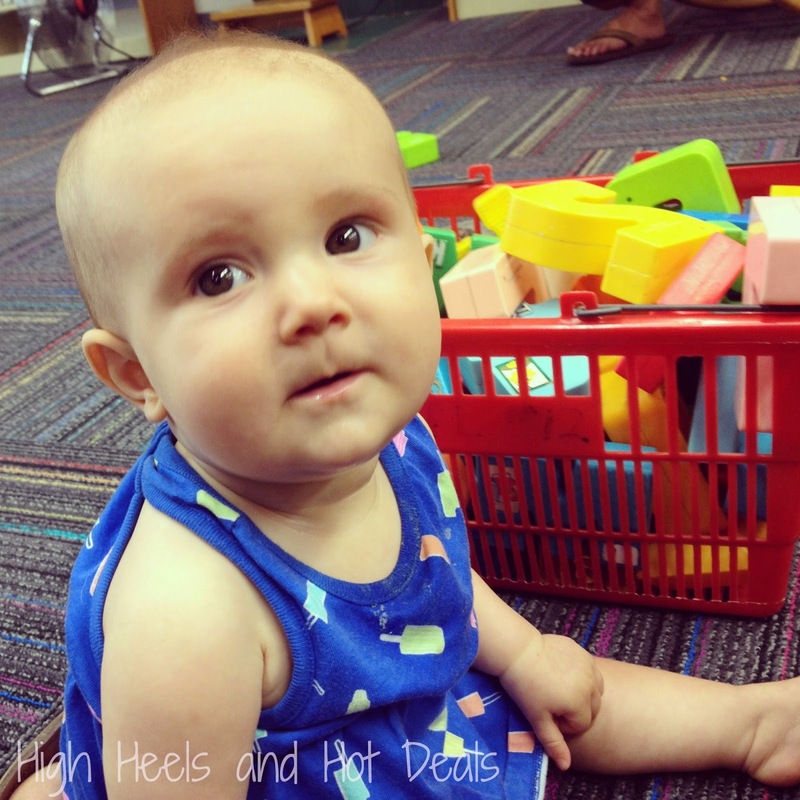 Here are some of the things that worked best for me during my "pumping journey." There was a period where my supply dropped and I wasn't producing as much milk. I thought my pumping days were going to be limited until I realized that I wasn't drinking enough water. I started carrying my water bottle around with me everywhere I went and making sure I drank at least three full bottles a day. My supply increased and I was back up to milk machine status in no time. Aim for at least 90 oz of water a day if possible. My water bottle has a straw and I find that I drink way more water through a straw than with a normal water bottle opening. Obviously at the beginning you'll need to pump more frequently because your baby will need more milk. Set times of the day to pump and stick to your schedule. The first month I pumped every 4 hours. Once I had a great supply built up, I slowly decreased that amount to four times during the day and once at night. Then I dropped the night pump and pumped four times a day. As Lola got older I was able to go three times a day. Now that she is eating more solids I can pump twice a day and use 4-5 oz of frozen milk a day. But what was easiest for me was to pump at times that either she would be sleeping, eating or when Kurtis was home so I didn't have to pump and hold her at the same time. That's really not an easy task...ever. For example, when I pumped four times a day I pumped once first thing in the morning, once during her morning nap, once again during the afternoon/evening nap and finally again before bed. Find a schedule that works for you and stick to it. If your pump is already a hands free pump -- bonus for you! If not, I suggest splurging and buying a hands free bra or making one yourself. Just use an old sports bra and cut small holes out for you to slide the pump parts through while you pump. My cousin gave me her PumpEase pumping strap and I've faithfully used this for both kids. This strap allows me to pump and do other things at the same time like feeding Lola while she sits in her Boppy, answer emails or catch up on my Real Housewives without holding on to my pump parts. You know the saying, "The more the merrier," right? I totally agree with it in this instance. At the beginning when you are pumping so frequently it becomes a pain to have to wash your parts all the dang time. This way if you have at least three or four sets, you aren't rushing to wash parts right before you pump because you always have a set clean and ready to use. You can, however, throw your parts into a plastic bag after you pump and put them in the fridge. This allows you to reuse them again that same day without having to wash them. Just a helpful tip for you working moms who have to pump at work! Being able to see an end in site helps keep me motivated. I set goals for both of my kids to help keep me going and to ease the impatience and frustration that occurred with my pumping routine. With both Cohen and Lola my goal was to pump for six months. My thinking was that six months of breast milk is better than none and if I am able to produce the milk then I might as well do it for at least the first six months of their life. 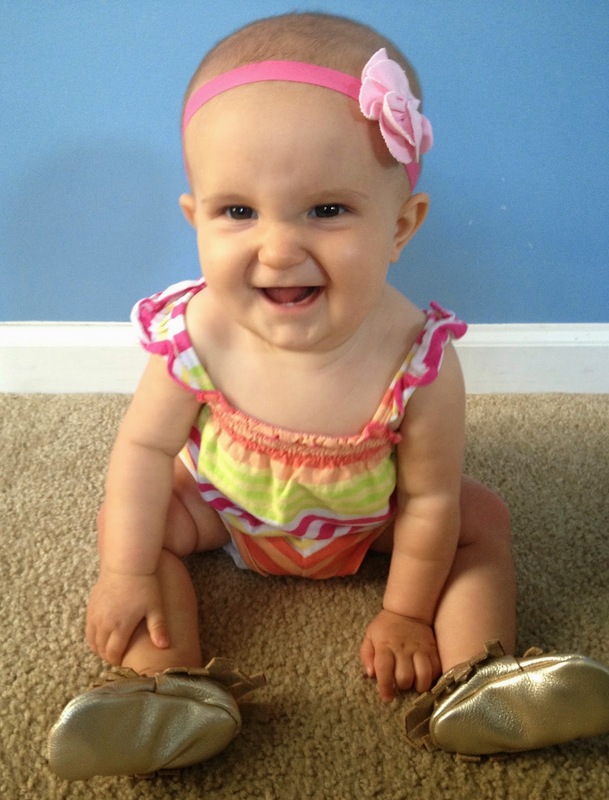 Now that I'm heading into the ninth month for Lola my thinking is, "Okay, I've surpassed another month past my goal. Let's see if I can go another month." I've been lucky enough to produce a crazy amount of milk that I might as well supply her with it. It pains me to say it, but I am heading back to work on Thursday. With the impending school year looming over my head I knew it was time to stock up on school supplies for my classroom as well as for Cohen's room too. 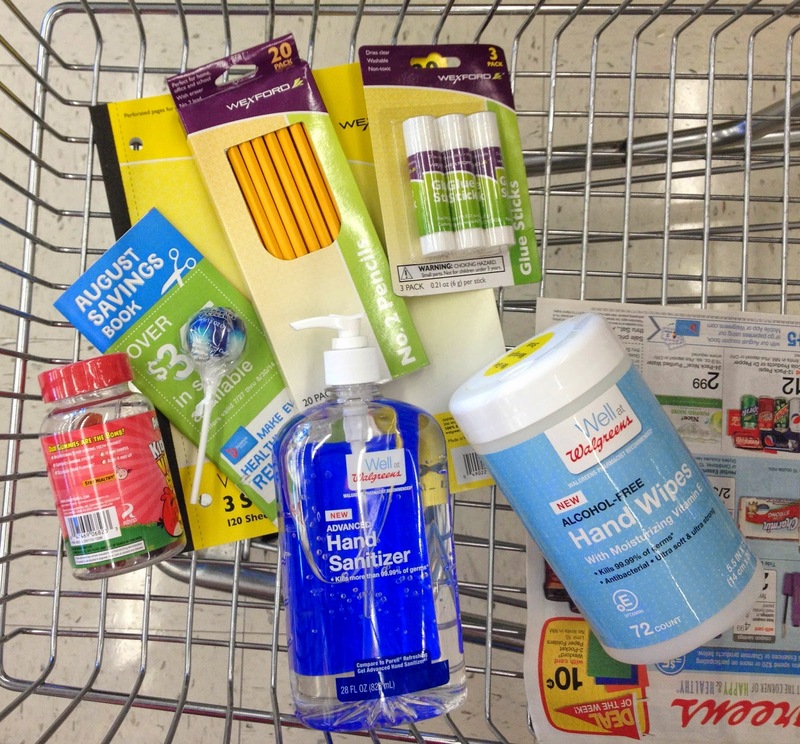 Even though he technically doesn't have a list of supplies, I like to send a few extra things for his teachers because being a teacher myself, I know how quickly items like tissues and hand sanitizer can run out. But as I was making my list of items it reminded me to check with his doctor to see which of his yearly vaccinations were due. The beginning of the year is always a great reminder to stay up to date on those necessary shots - especially as we head back to school! I stopped by Walgreens to grab the items on my list since the majority of them were on sale and offered some great Balance Rewards points. It's a free to sign up and the points quickly add up! 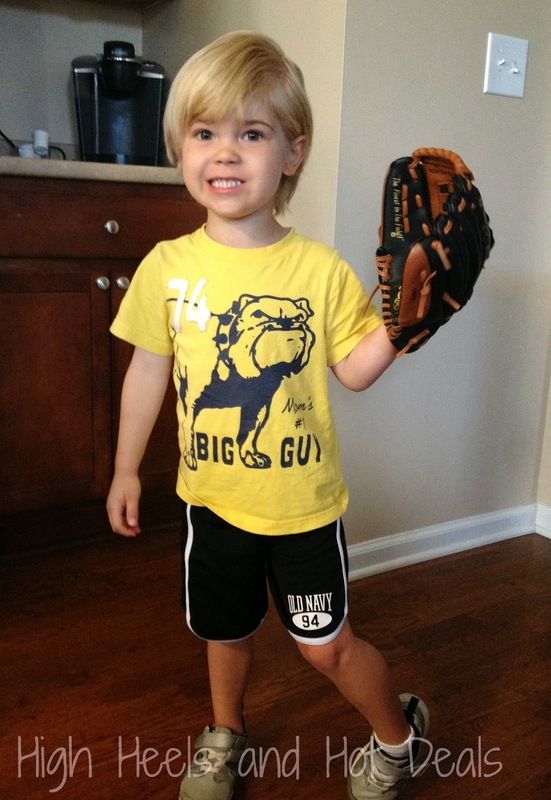 I scored some hot deals and got a great head start on my back to school shopping for both Cohen and myself. Plus I was able to grab the August Savings Book to keep on hand for future trips. While we were in the store I walked by the Healthcare Clinic. Not only can you score your kiddo's Back-to-School supplies but you can also get them up to date on their immunizations like whooping cough and meningitis. 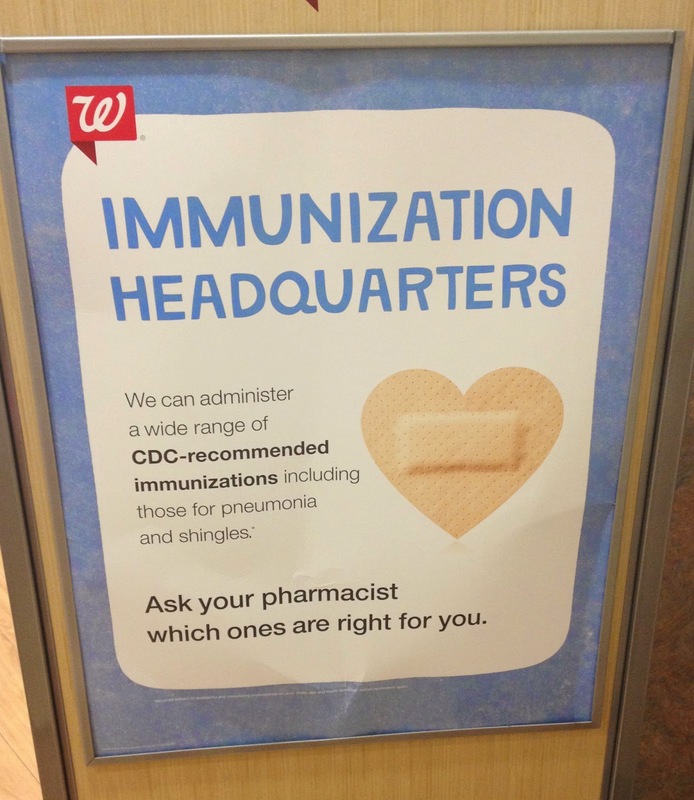 Walgreens makes it quick and easy - no appointment needed. They accept most insurance policies and the Walgreens pharmacists will report back to your primary care physician with your medical records and shot information. 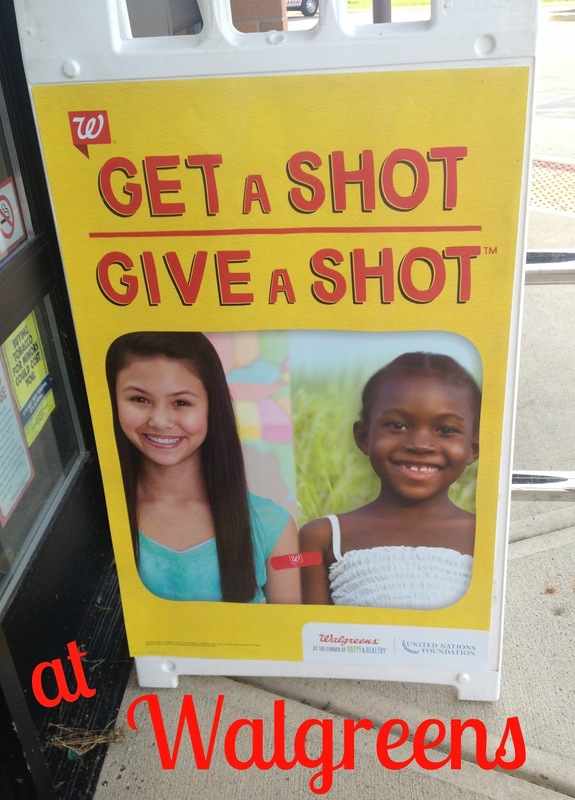 Now when you get your child's school immunization, Walgreens will provide a lifesaving vaccine to a child in a developing country through the UN Foundation Shot@Life campaign. 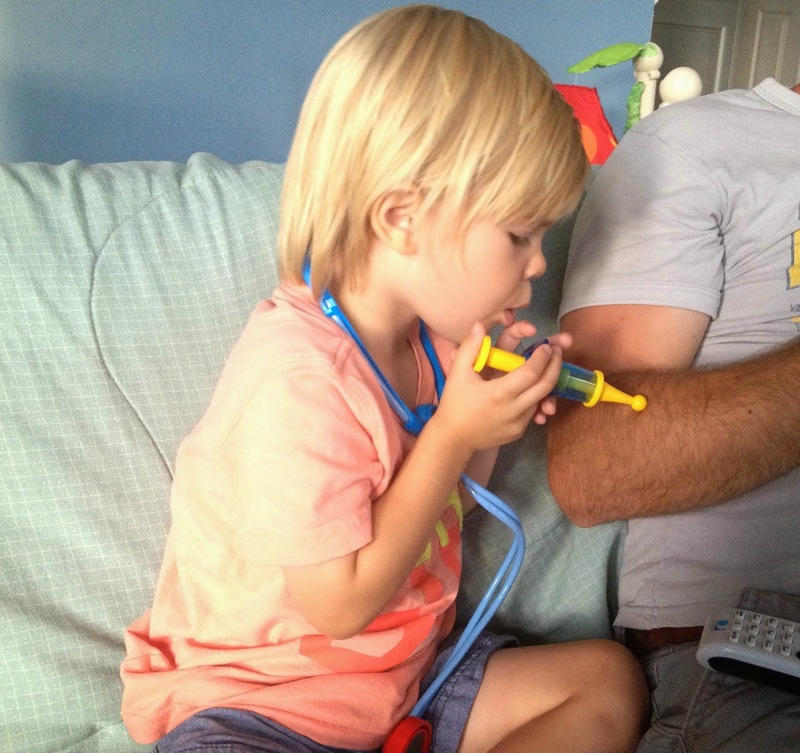 So when your kiddo Gets a Shot, they Give a Shot to a child in need. How cool is that? 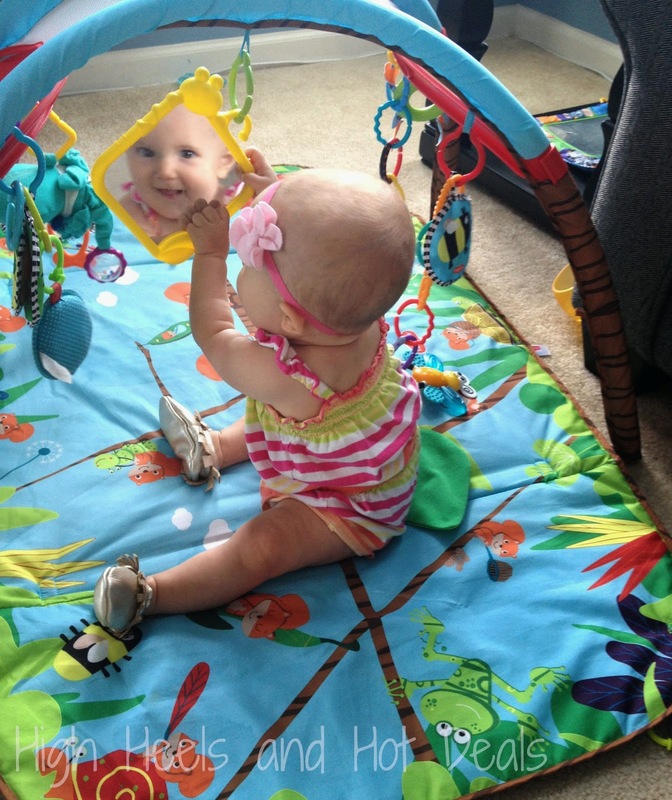 This is a great incentive for your child to help soothe the ouchy from their own shot. You can remind them that they are helping another child who really needs a shot and may not have been able to get one without their help! 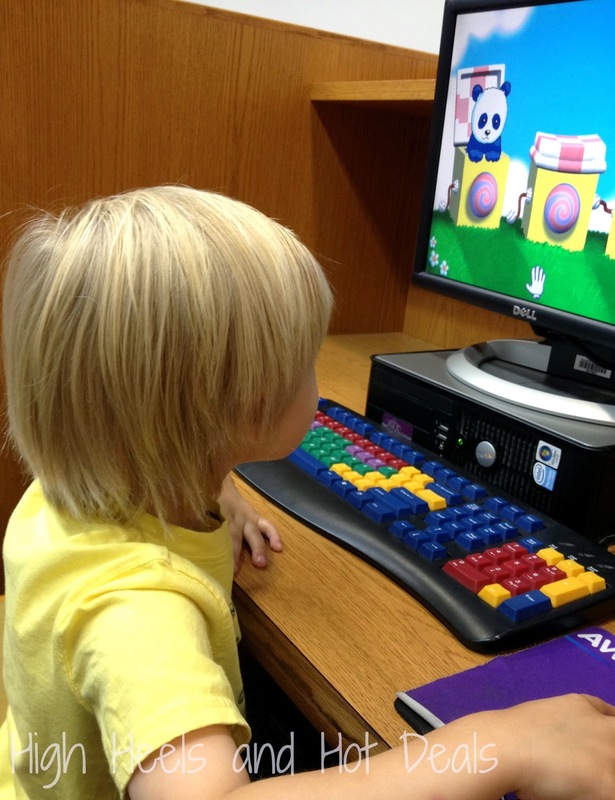 This program is aimed, however, for children 7 years and older. I'm sad that summer is quickly coming to an end but thankfully I'm not as stressed out about getting supplies and be prepared for the school year. I love that Walgreens can be that one stop shop for both Back-to-School supplies and school vaccines. Save some money, get your child up to date on their shots for school and give a shot to another child who is in desperate need. Hey, it's not every day you can tell your children they helped provide life saving vaccines for others in need! Now let's go soak up what little time we have left with that summer sun! This is your last weekend to score 2x the fuel points to be sure to stock up now and save those points for money off at the pump! What Kroger deals did you find this week? While this summer has felt short and sweet, we did manage to get off on our first family vacation. The vacation was fabulous but the drive, well, not so much. 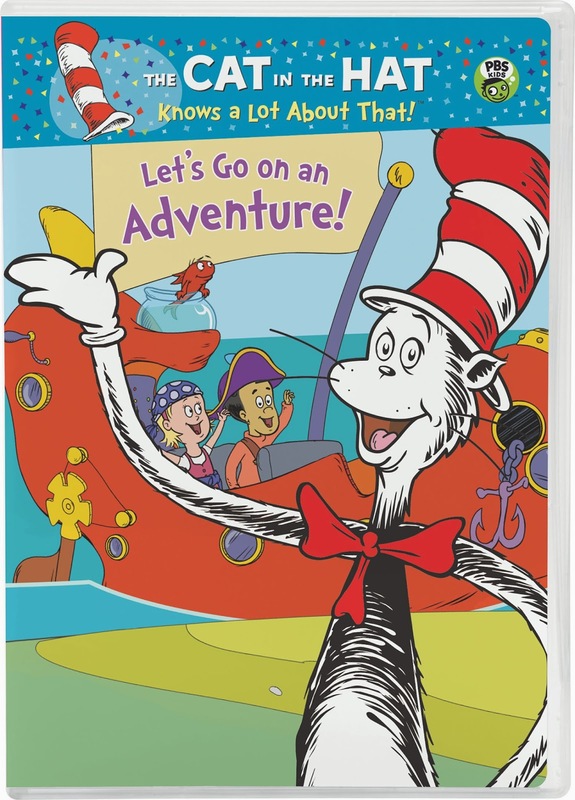 Thankfully there was an amazing invention called the portable DVD player to keep busy three year olds entertained for 6+ hours in a car. Just before we headed out I was sent an amazing package from NCircle Entertainment filled with ten different DVDs to enjoy. Seriously, Cohen thought it was Christmas. But what I love about these NCircle Entertainment DVDs is they all have an educational focus which definitely satisfies the teacher within my soul. 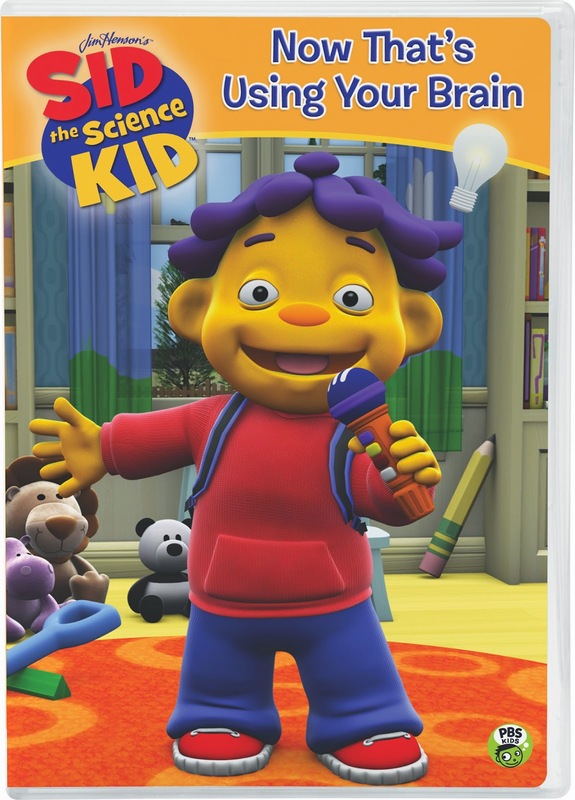 Sid the Science Kid: Now That’s Using Your Brain! 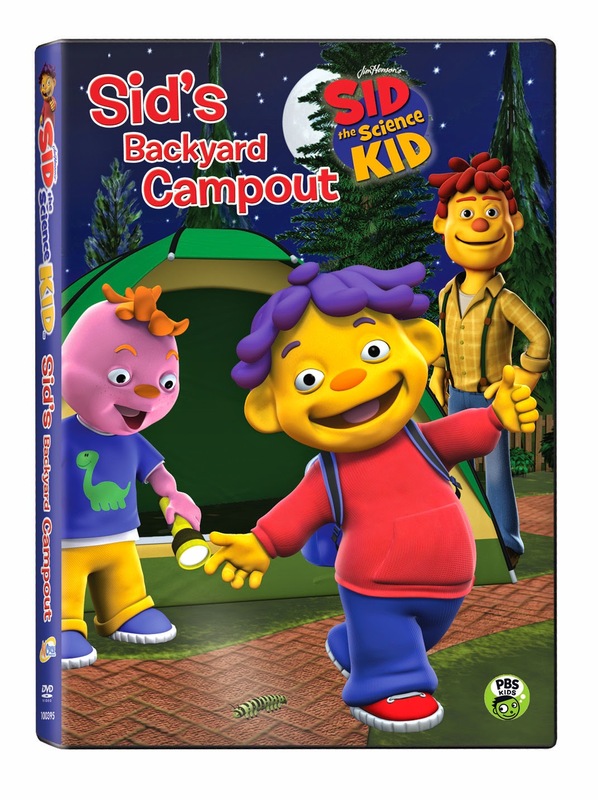 Sid discovers that the brain controls all kinds of actions such as walking, thinking and breathing and wants to learn more about how it works. 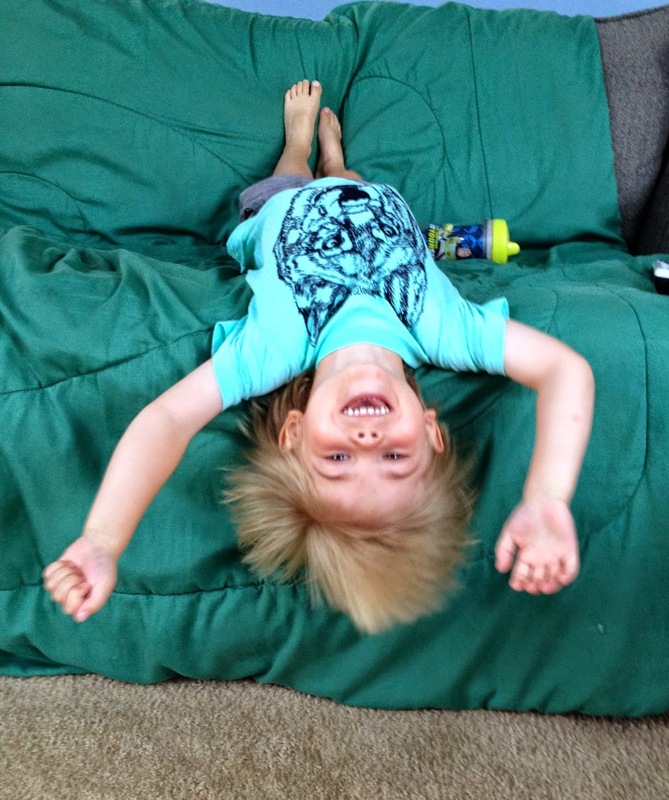 Cohen likes to refer to his brain now as the "boss" of his body. Technically I'd have to agree with him about this one. 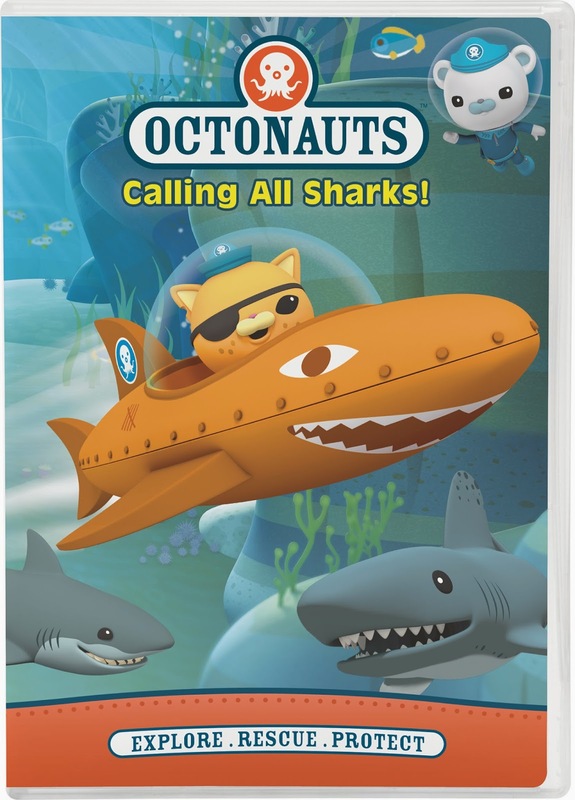 Join the Octonauts aboard the Octopod as they come face to face with a trio of pesky Cookiecutter sharks, look after an injured Lemon shark and stop a Whitetip shark who is chasing the Gup-A! 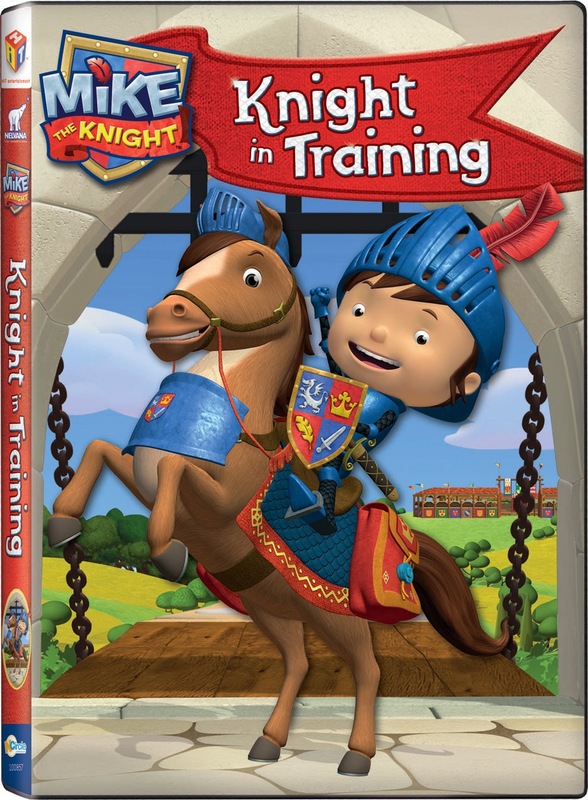 This is by far one of Cohen's favorite movies. He has a huge fascination with sharks but now can tell you so much about these three different sharks including the fact that sharks sleep with their eyes open. Did you know that? Not going to lie, I didn't. 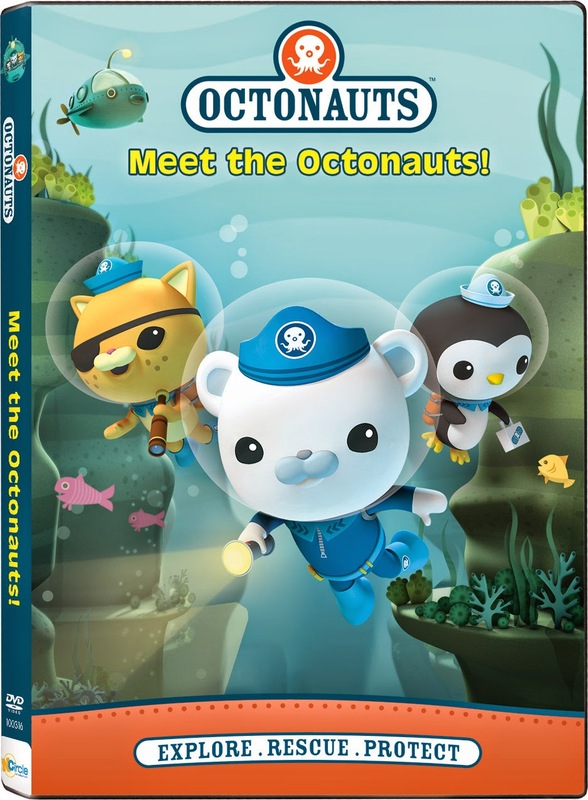 Join the Octonauts as they explore the world’s oceans, rescue the creatures who live there, and protect their habitats above and below the waves! This has been a nice way to help Cohen understand that sharks don't live in ALL bodies of water -- like the pool. 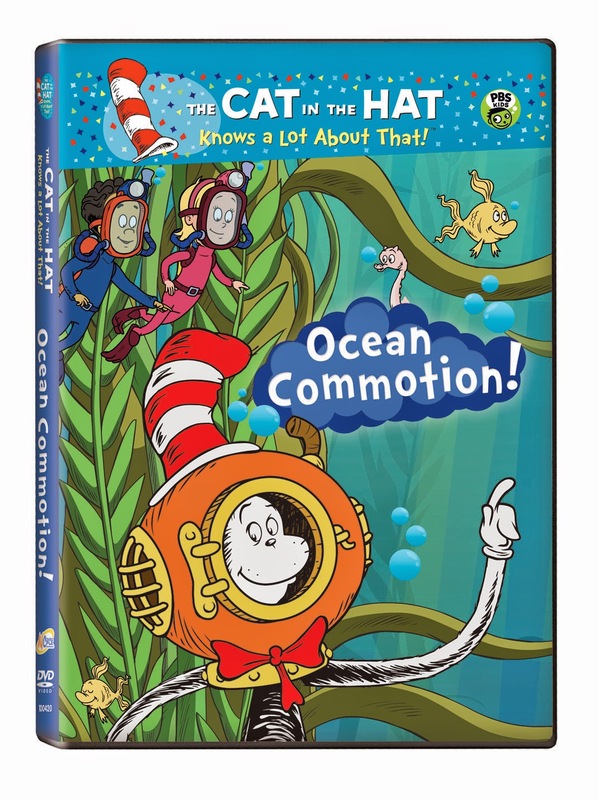 With the help of our friends the Octonauts I have been able to teach him a little bit more about habitats and where some water creatures, like sharks, live. When the Cat eats the last chocolate, Nick and Sally must fly to Coco-a-licious to restock their supply. But princess Lotta-Chocka's helpers are away. Join the Cat and the kids as they make chocolate today! The weekend before Lola was born we took Cohen to see Seussical the Musical which brought upon a love for all things Dr. Seuss. 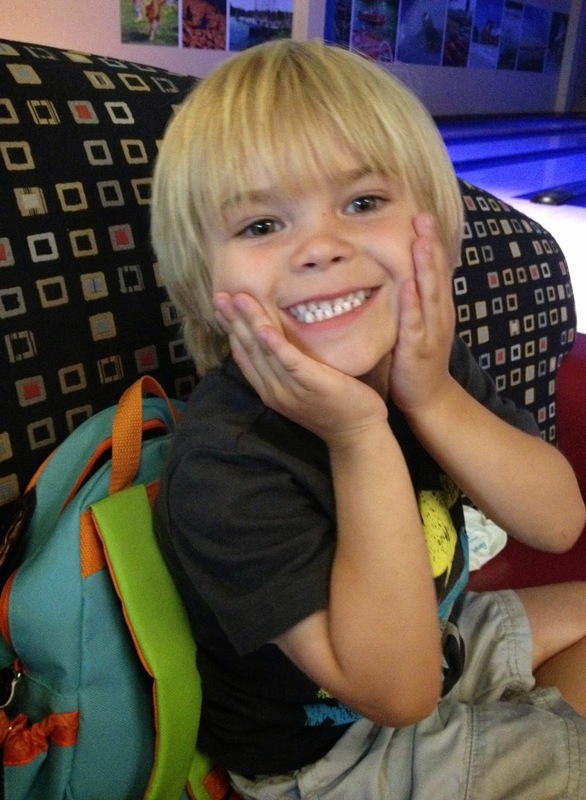 Plus he loves the fact that they go to Coco-a-licious since his nickname is Coco. 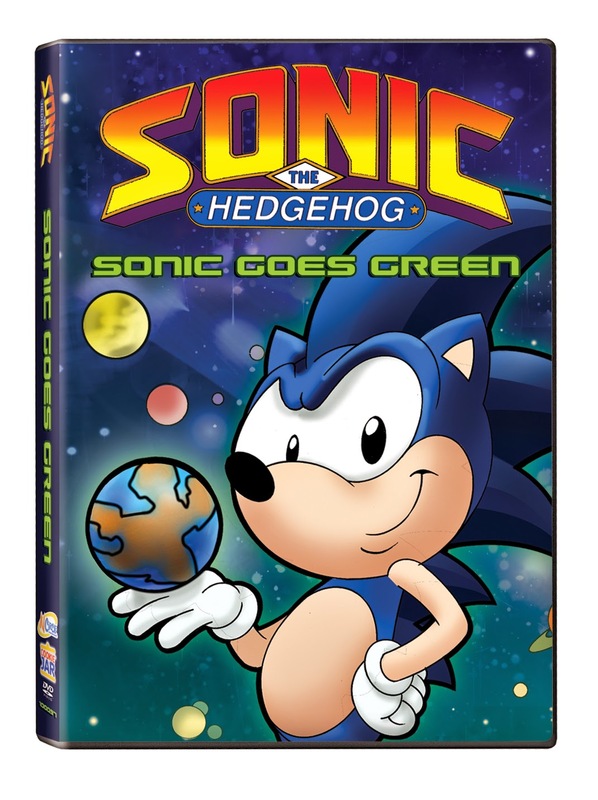 The beloved and wildly successful children’s entertainment group has finally released a collection of their most popular songs, including Big Red Car, Toot Toot Chugga Chugga, The Monkey Dance and much more. 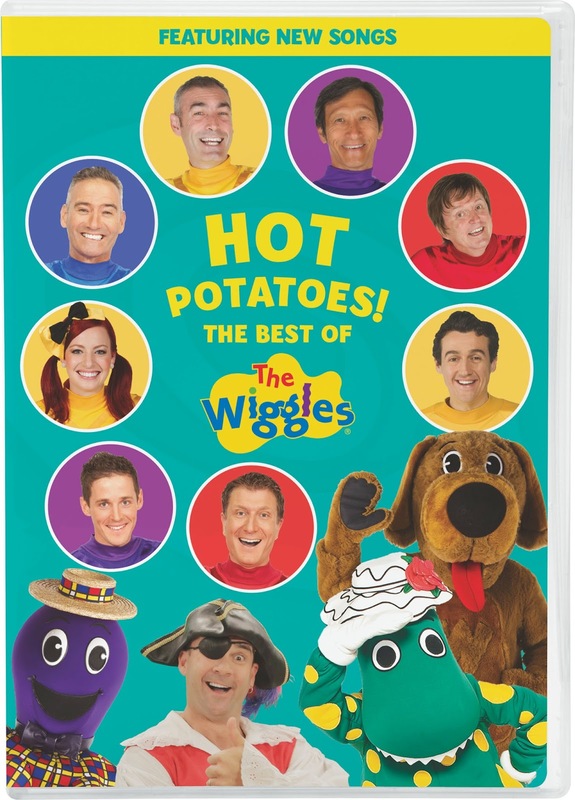 Don't worry, all of your favorite Wiggles songs are including this this movie! 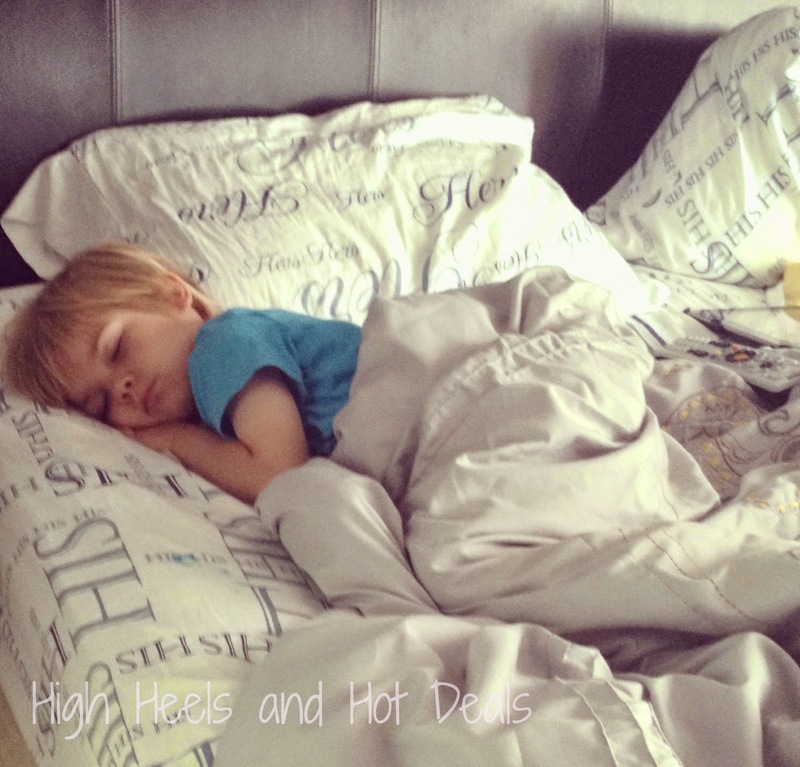 It's time to get up and dance with your little one! You'll be singing, "Hot potato! Hot potato!" for the new few days for sure. 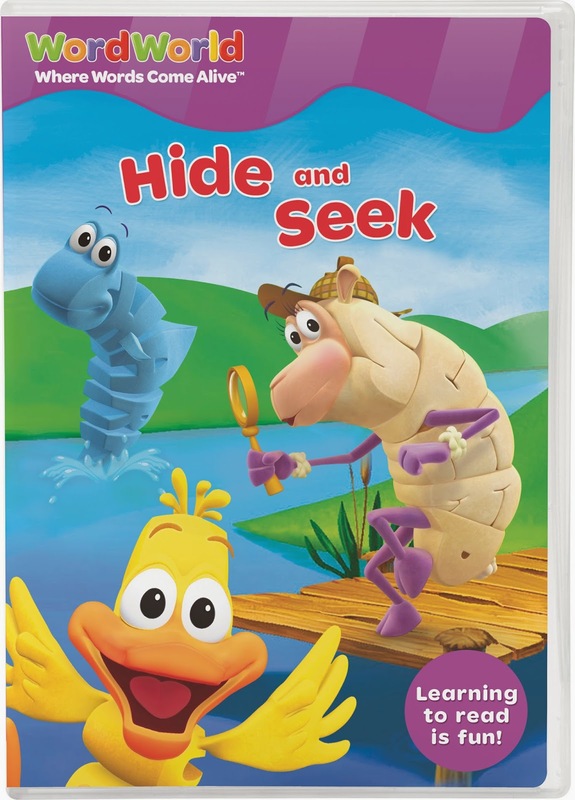 Join the WordFriends and play a game of Hide and Seek! In this special game, the friends have to hide behind WordThings that end in “ake." BUG builds a RAKE, and PIG builds a CAKE. But SHARK is so big that it s hard for him to find a good hiding place. As a teacher I'm all about word building. This movie puts a fun spin on using word families to make new words. It reminds me a lot of an activity I do with my kids, "If you can spell bake you can spell..." This is a perfect movie for your kiddos that are getting ready to head to Kindergarten. I'm such a fan of NCircle Entertainment DVDs and know you will be too! That's why you have a chance to win all 10 of the movies mentioned above -- that's a prize package worth $100! Enter the Rafflecopter below to win! This product review was made possible by NCircle Entertainment. I was received a product for my review. All opinions are 100% mine. One of the best parts about having a summer break with my kids is finding fun activities to do together. We are definitely frequent swimmers at our community pool, enjoy hitting up the local splash pad and usually like to head to the library on rainy and gloomy days. But some days we enjoy staying home and playing in our backyard. These are the days when I bust out the traditional summer supplies: the sprinkler, sidewalk chalk and of course - bubbles. Last summer we went through two bubble machines. Not because we used them until their breakage but because they were junk and lasted literally 10 minutes each. But we have so much fun with bubbles and I love getting out different wands and gadgets to play with and see how many bubbles we can blow all at once. 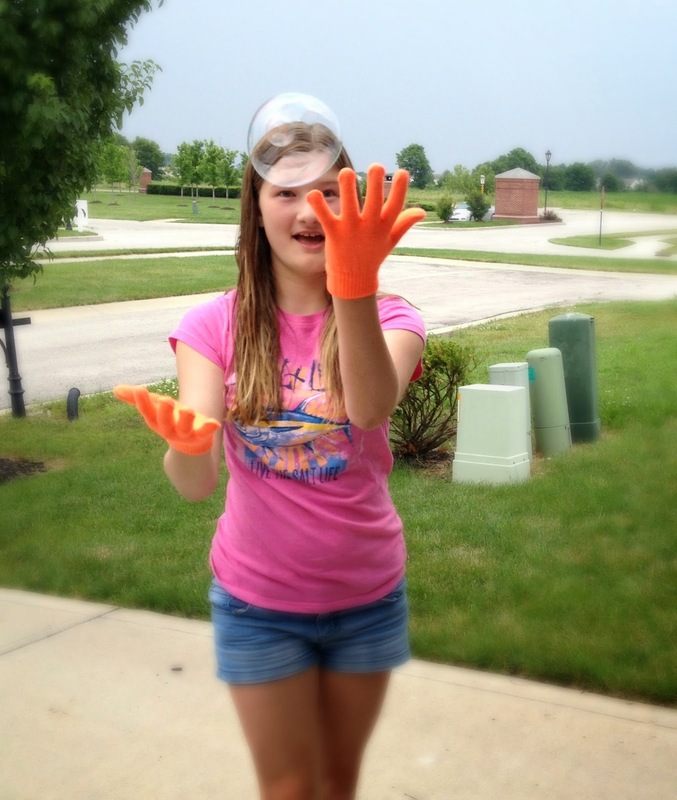 I was pretty stoked to have the chance to try out Juggle Bubbles with the kids this summer. I remember seeing the commercial and being pretty skeptical about the whole idea. Seriously, how can a pair of gloves really allow you to hold a bubble in your hand? Don't worry. They do. And it's awesome! Sophie, Cohen and I had a blast blowing these huge bubbles and using the Juggle Bubbles' gloves to be able to hold and bounce these bubbles on our hands. It's easiest if you have two people using the Juggle Bubbles -- one is the bubble blower and the other is the juggler. 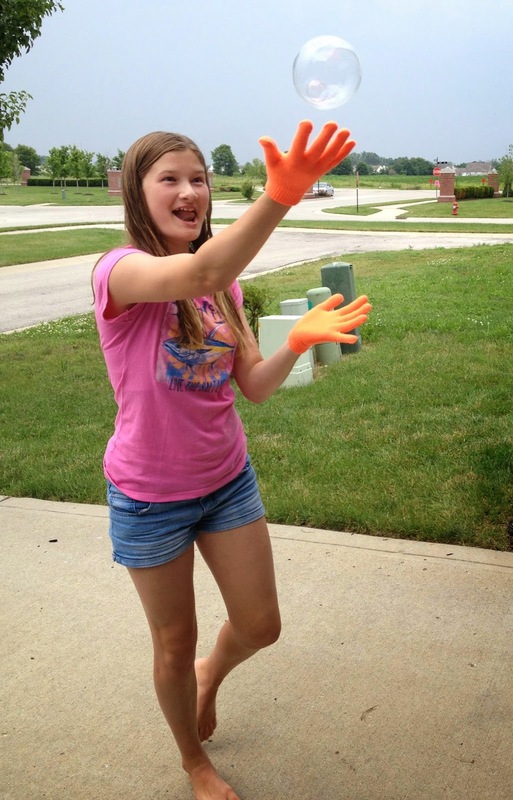 You simply blow a bubble with the wand, flick the wand to release the bubble and then the person with the gloves on can literally bounce the bubbles off of their gloves. 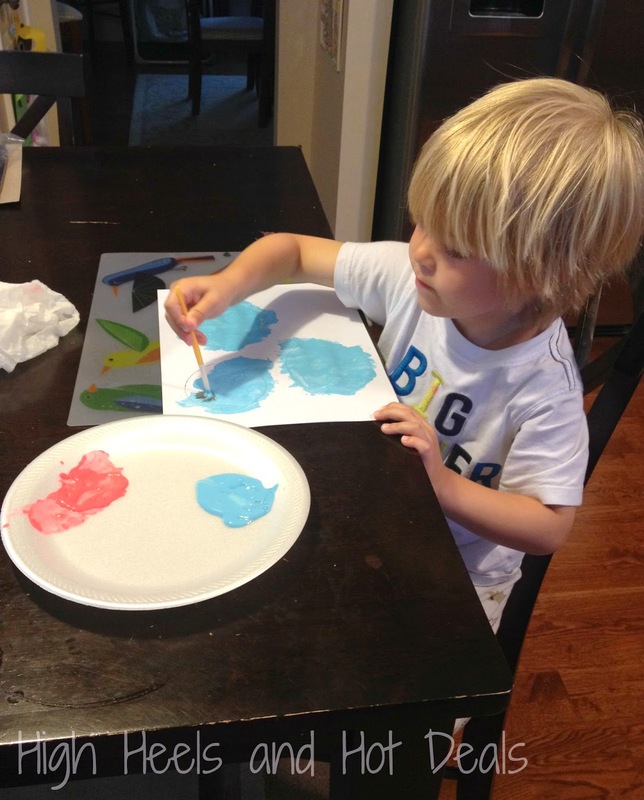 Now do you do have to be gentle and softly contain your bubble, which has been quite a task to teach Cohen. However, each box of Juggle Bubbles comes with two gloves which works out perfectly for us because Sophie and Cohen can each wear one while I am the bubble blower. 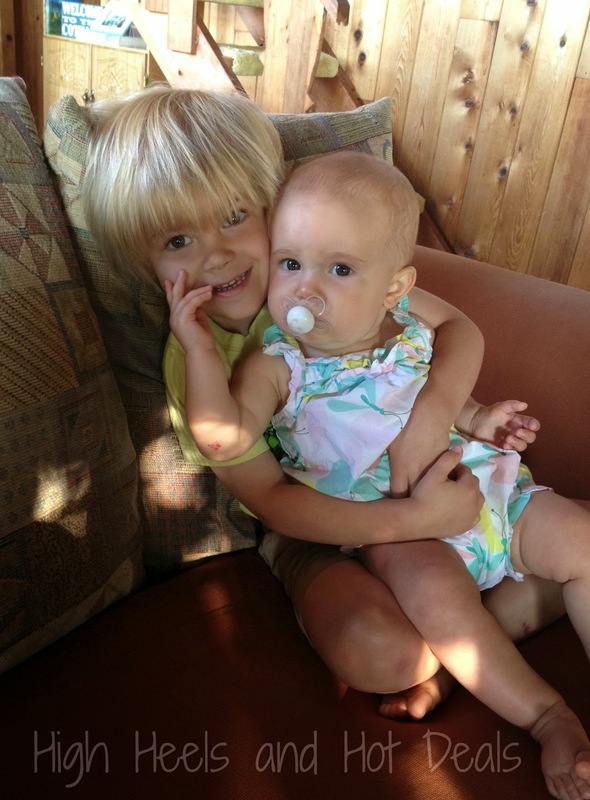 Cohen easily is learning by practicing and watching Sophie's example. 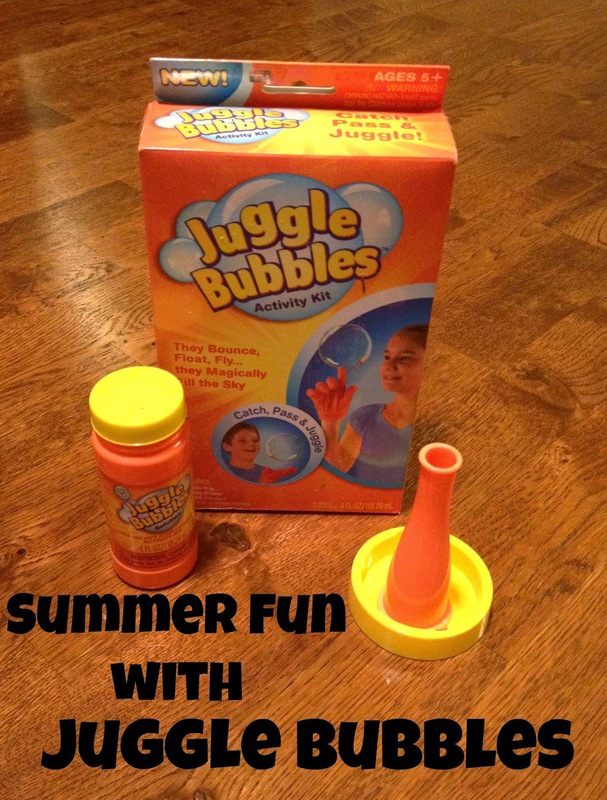 Juggle Bubbles have been the perfect addition to our summer fun activities! Check out their website for more information. Disclosure: I was provided a product sample for review. All opinions are 100% my own. When Cohen was old enough to eat solids I ran out to the store and scooped up every fruit and veggie Gerber made in Stage 1 foods. 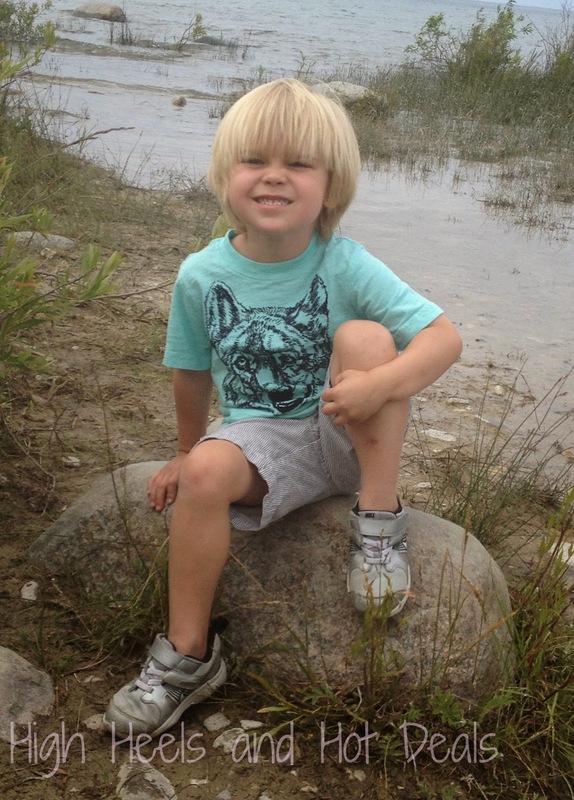 Then when he got older I graduated to Stage 2 and then Stage 3. However at Stage 3 he started to get picky and this was when he turned from loving food to only eating his favorites. Plus let's get real -- this stuff gets expensive as your kid eats more and more food. I decided to try a new approach with Lola this time and make all of her purees. I wanted to expose her to different foods and keep bringing them back to her meals so she wouldn't forget tastes and textures. After doing a little research I realized how ridiculously easy it is t make baby food and feel kind of embarrassed I didn't do this witch Cohen. 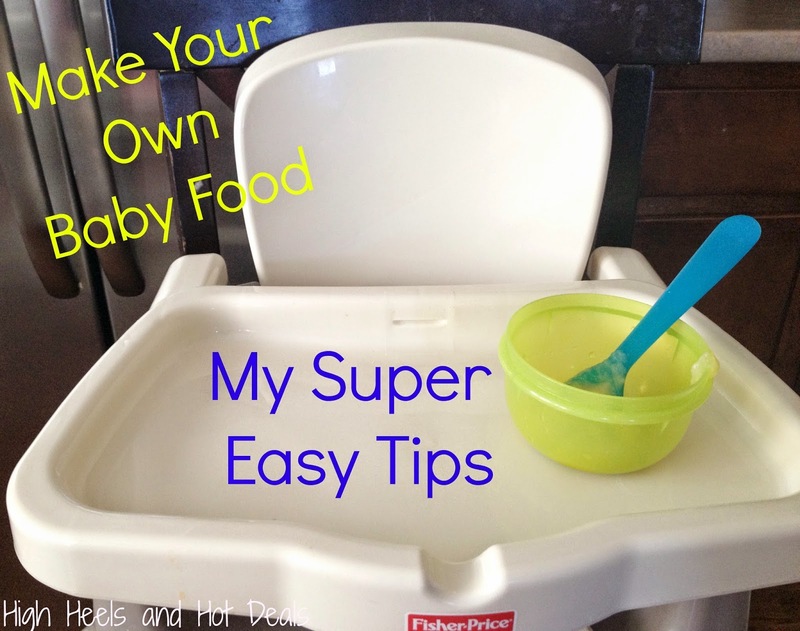 Let me help save you from this embarrassment and teach you how to make your own baby food simply and easily. I'm not kidding. That's it. Well plus the foods you are making but I'm telling you it's seriously this easy. Kurtis bought me a super nice Ninja blender and it has worked just fine. 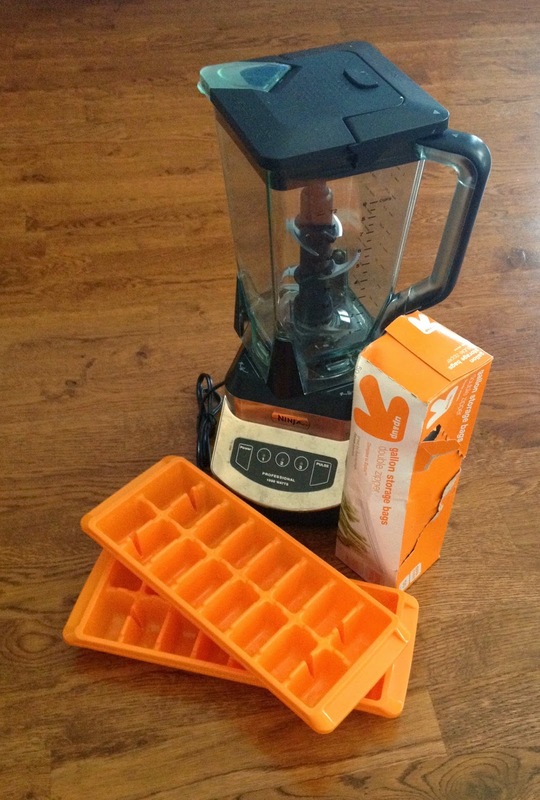 If you have a food processor that would work just as well too. Check the dollar store for ice cube trays. I found mine at Kroger for $1 and I got 2 in a pack. When buying gallon size plastic bags do buy the ones that are specifically made for the freezer. Also keep in mind you may want to double bag your food to prevent freezer burn, so double up on the quantities. I then make my foods and blend them up until they are the consistency that I want. Next I pour them into the ice cube trays and freeze. Finally when they are frozen, I pop the cubes out and store them into labeled plastic bags. I started off super smooth the first few months and then keep them thicker as Lola has gotten older. One suggestion I have is to start by making your purees thicker. Then you can use breast milk or formula to thin it out before feeding your babe. Plus if you are mixing these in with rice cereal or oatmeal, you may want them a little bit thicker anyways. But if you do want to add water while making your food start off by adding just a little bit at a time. Below are the foods I've made and how I've made them. I don't blend different flavors together when I'm making the food, especially since you don't want to start off blending foods when you are first starting your little one on solids to help prevent allergies. My suggestion is you defrost and mix cubes later on so you can try any combination that you want because you'll never know what will kick in that gag reflex! --Cut in half and scrape out the seeds with a spoon. Bake at 400 degrees for about 30 minutes or until it is soft. Scoop into blender and blend. --Poke your potato with a fork. Bake at 400 degrees in the middle of your top rack for about an hour or until your potato is soft. When cooked, cut in half and take off the skin. Cut into pieces and blend, using 1/4 cup of water. Add or decrease the water based on the consistency you are looking to make. --Cut avocado into pieces and blend, using 1/4 cup of water. 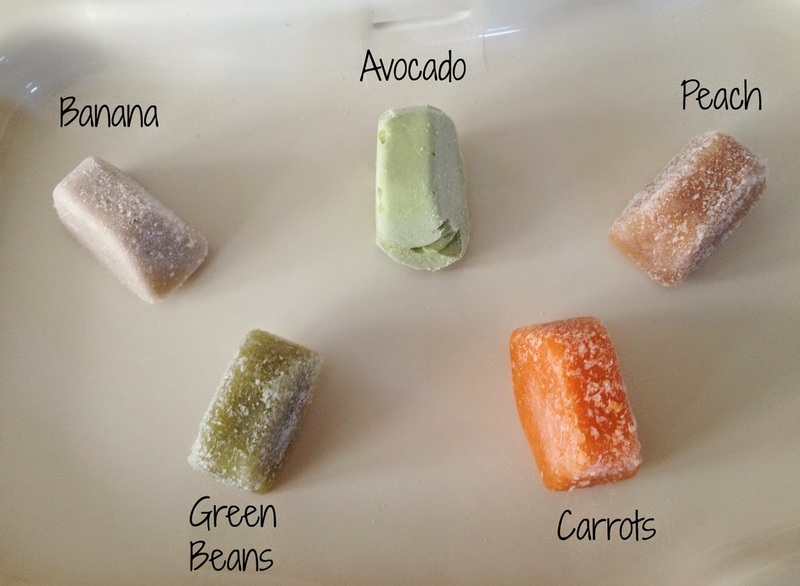 *My avocado cubes have stayed bright green each time I have made and frozen them! No browning at all! --Cut into pieces and blend, using 1/4 cup of water. --Cut carrots into small pieces and place into a pot. Fill up pot with water until the carrots are just covered. Cook and simmer on low until carrots are soft when poked with a fork. Drain carrots and blend. I usually add a little bit of water to make sure they aren't too chunky. --Cut into small pieces and place in pot filled with water. Cook and simmer until pieces are soft when poked with a fork. Place into blender adding a bit of the water. Blend until smooth. **I have made both of these with and without the peels and have found that both ways work just fine, it just depends if you want to take to the time to peel your fruits! --Make sure your peaches are soft and cut into small pieces Blend until smooth. --I used fresh green beans and started by cutting off the ends and simmering in water until they were tender. Next drain and blend until smooth. --The easiest way I have found to make peas is by using a bag of frozen peas. I made them up until they were soft and tender, then blended them to the consistency I wanted before pouring them into cubes and freezing them. --Wash the blueberries and throw them into the blender. Blend away! Since I am saving a ton by making my own food I do buy mainly organic fruits and vegetables. I do suggest you at least follow the Dirty Dozen list and purchase those fruits and vegetables organic, but it's totally your preference. Before you get crazy and make up huge batches of certain foods, be sure your babe likes them first because that would be terrible if you spent time and money making a huge amount of baby food your kiddo doesn't even like! 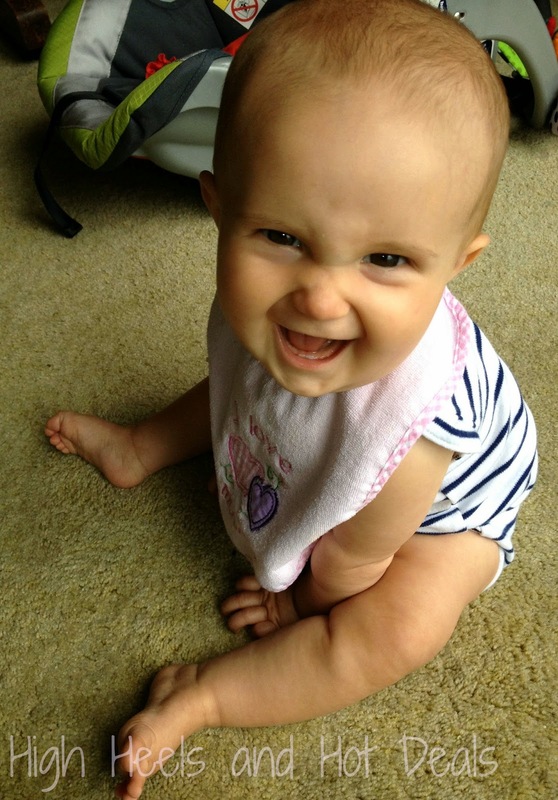 But I told you, the whole making baby food process is too easy not to try to do on your own. I'm no Martha Stewart but if I can do it -- you totally can do it.